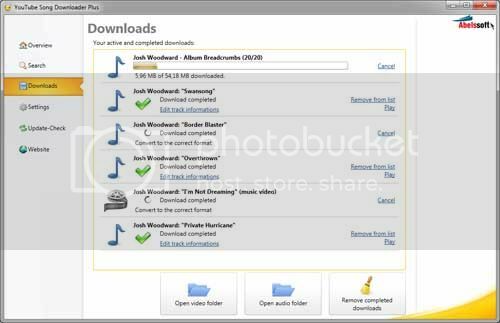 In brief, YouTube Song Downloader is a user-friendly software that allows users to download music as MP3 or Video. Just type in the song name and click on the download button to do the work. Moreover, it allow user to preview the video instantly and Save files as MP3- or video file (AVI, MP4, FLV).